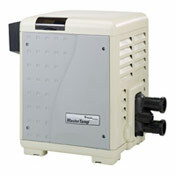 A heater is a fossil-fueled, electric or solar device used to heat the water of a pool, spa or hot tub. Inside every heater is a device called a heat exchanger, which provides for the transfer of heat from the heat source to the water. This is usually a series of metallic tubes with fins located just above the flames. We Install only the finest and most energy efficient heaters in the industry featuring fully digital displays and rustproof housing.